The Roadster, by Cartier is one of those beautiful women’s watches that never goes out of style. The Roadster women’s watch is an heirloom piece, with contemporary lines and sophisticated architecture. 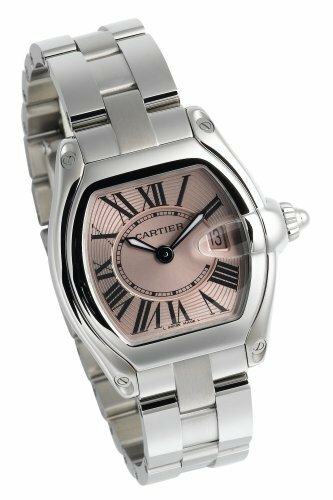 The Cartier model W62017V3 features a soft pink dial, with guilloche styling. Exquisite Roman numerals adorn the face, while a magnified crystal accents the date window. The Cartier name is prominently displayed on the dial. This particular model is Quartz run and battery operated. The Swiss movement is as precise and accurate as can be and the Cartier name means that quality is built in. This women’s watch offers a case that measures 30mm in width and 36mm in length. The thickness is 9mm, which is slim and feminine. 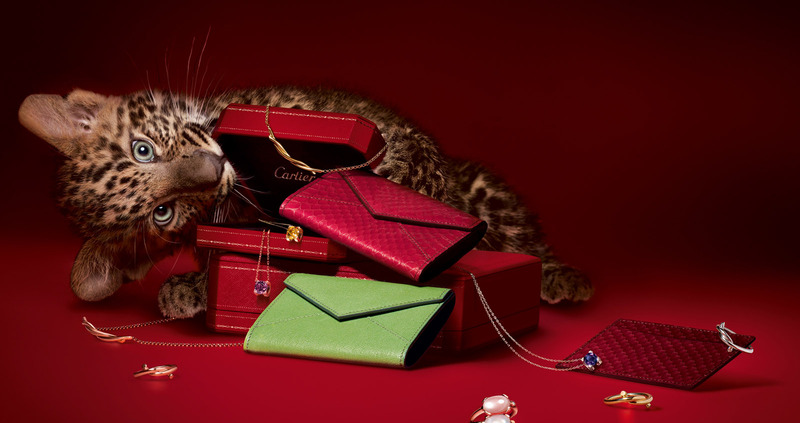 Cartier has equipped the woman’s Roadster with a sapphire crystal and luminous hands. The double folding clasp keeps the watch securely on your wrist and looks beautiful. The Cartier Roadster is water resistant to 100. This timepiece from the House of Cartier is designed in solid stainless-steel, but other versions also come in gold or two toned presentation, at a higher price point. This version is moderately priced at around $3,800. The women’s Roadster from Cartier is a classic and elegant piece that she will wear for years.